Today only, you can save Up to 55% off Select Monster High Toys with Amazon's Deal of the Day! Time to stock up on some great items for Christmas or upcoming birthday! Tons of great sets to choose from! 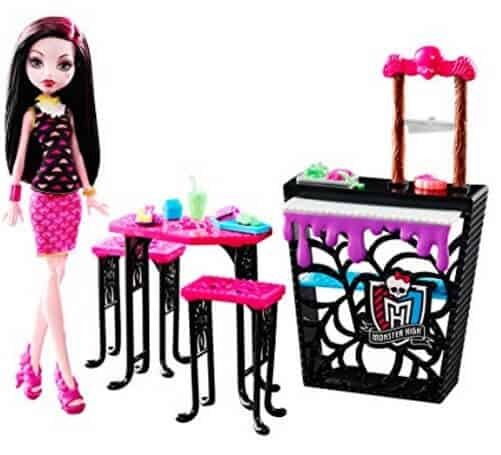 The Monster High Beast Bites Cafe Draculaura Doll & Playset (pictured above) is only $8.99 (reg $19.99)!